Gulchville Chamber of Commerce, circa 1860: H. Oskar Peppercorn, Esq. 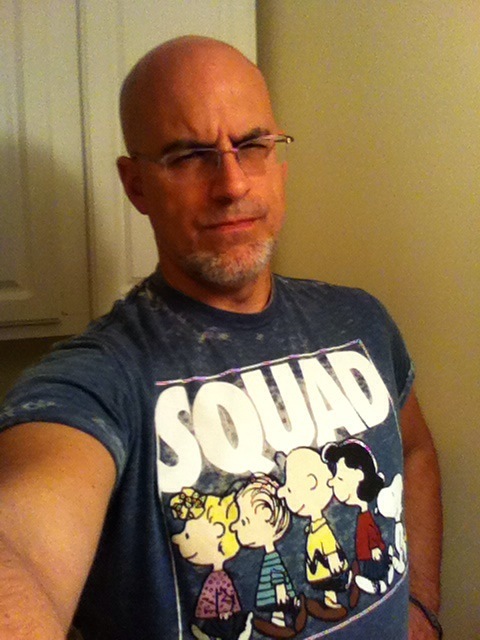 Yep, it’s me trying to look super tough in a silly t-shirt. But this isn’t so much about showing off the contradiction of my badassery and my ridiculous attire – it’s about my weakness for $5 t-shirts. If there’s a clearance rack, I’m digging in it looking for something…unique. (I also frequent Five Below, the upscale discount store geared more toward twelve-year-old girls than middle-aged men.) 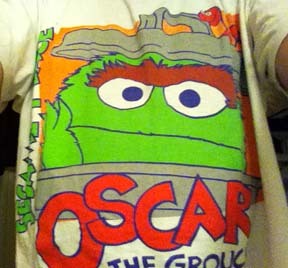 Almost all of these shirts are comics or Muppet related…and it seems that $5 is my price ceiling. If it’s $7.50, I’ll turn my cheapskate nose up at it. 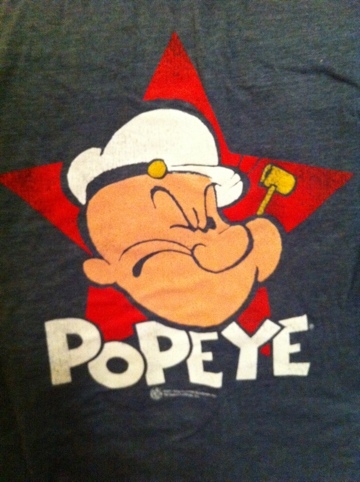 When I was away at grad school a friend showed me a photo of his son and he was wearing a Popeye t-shirt. Here I am, trying to prove that I’m not a cartoon t-shirt dork, and then here I was on Tuesday, yet again wearing another dreaded t-shirt. But I ask you, is it really a cartoon tee? Yep. 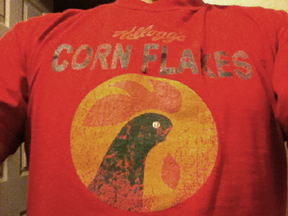 I was THAT guy, wearing a superhero tee to a superhero movie. My wife and I were both part of this in 2005. I made special edition Bo Nanas strips with an original drawing. 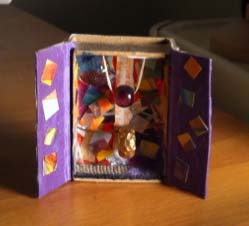 My wife made matchbox shrines (below). 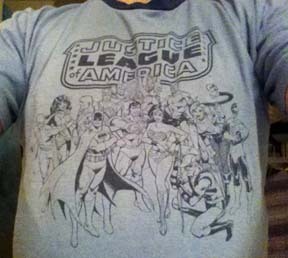 Here I was thinking that I was going to prove that I’m not a cartoon t-shirt nerd and only three days into my personal, unscientific survey I put on a shirt that displays for all to see A CARTOON THAT I DREW! What a dork faux pas. You can learn all about the fun and funky Gettysburg Pirate Orchestra – and hear their music – on their Facebook page. Check ’em out. 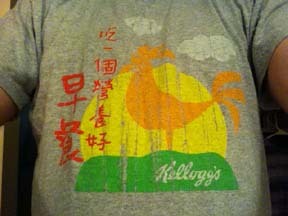 Another post in my continuing personal survey of my cartoon t-shirts. This is the one I put on today. Would it count as a cartoon one? 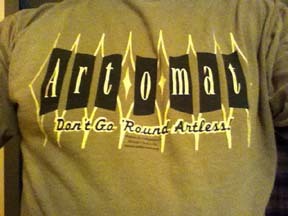 Yep, it’s summer – the prime t-shirt wearing time of year. 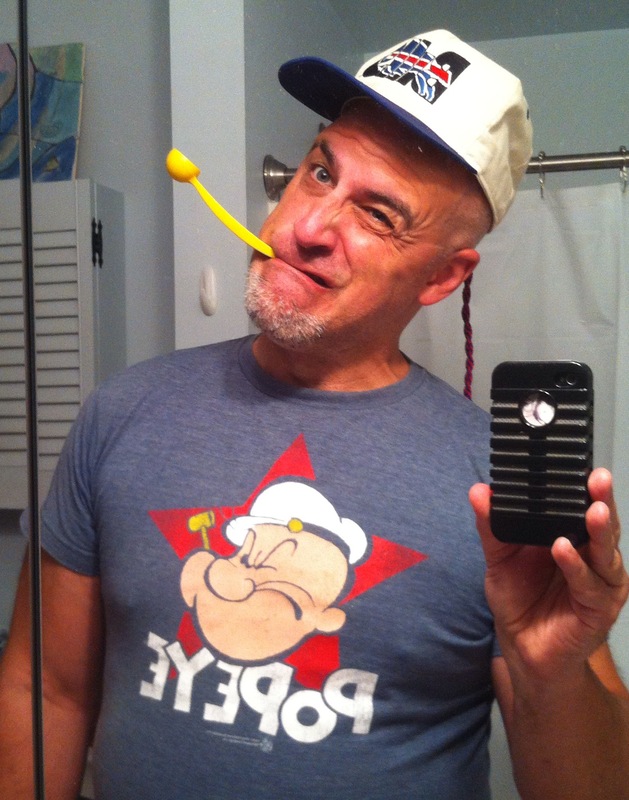 I am a cartoonist, and in many ways a cartoon geek, but not the kind of geek that wears a lot of cartoon t-shirts. Today I put on the above t-shirt so I thought I’d post my shirt every time it’s a cartoon one (at least until they start repeating) and try to explain my way out of it so as not to look like as big a dork as fear I might be. 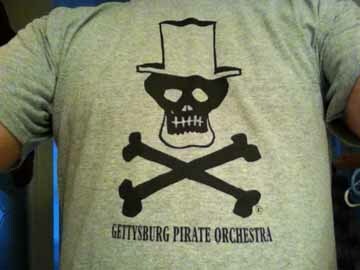 This is obviously an Underdog shirt. I watched the cartoon as a kid but was never a big fan (although Wally Cox as the voice of Underdog was a big plus). 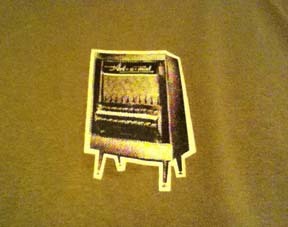 I like mottled gray shirts, I liked the design and its hipster pre-distressed look. And I like that it was $5 at my favorite store, Five Below. To be completely vain about it, the coolness factor for a cartoon shirt is in reverse proportion to the popularity of the character. 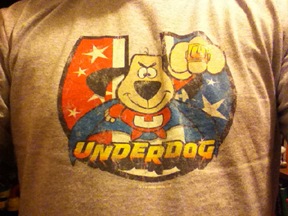 Underdog is a lot less popular than, say, Wolverine, so I probably wouldn’t wear a Wolverine shirt.